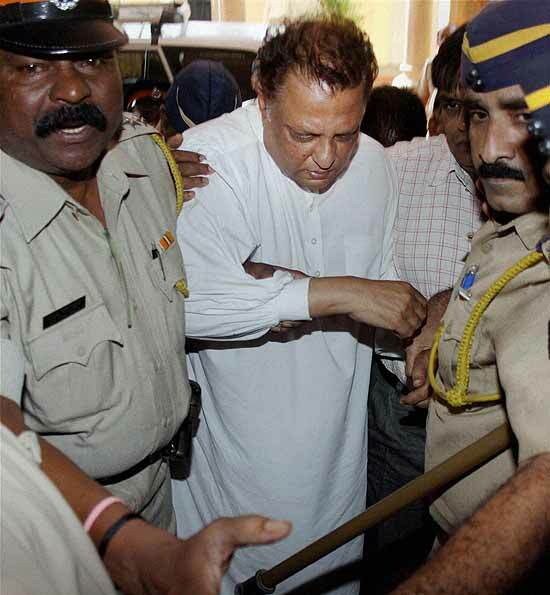 Hasan Ali Khan or Syed Mohammed Hassan Ali Khan, son of late Gayasuddin Ali Khan is a 53-year-old alleged money-launderer based in India and allegedly worth USD 9 billion (approximately 36,000 crore), according to law-authorities. This figure has been verified from a letter written by UBS (Zurich) to Khan. The Government of India has also confirmed the existence of this account in UBS, and ordered him to pay 50,000 crore (US$11.15 billion) in taxes on that wealth. The extraordinary case of Khan, who has been described by a national weekly as the “Billion Dollar Bandit”, gives us an idea of the rot that has set in. According to the BJP task force, Khan ventured into the hawala business in the 1990s and his bank balance grew from $1.5 million in 1982 to $8 billion in 2006. The big picture of Hasan Ali Khan emerged between January 2-7, 2007 when the Income Tax Department and the Enforcement Directorate carried out raids on his premises. However, according to Khan, he is a scrap dealer with an annual income of 30 lakh (US$66,600). Some sources claim that he might be the fourth richest person in India and amongst the world's dollar billionaires. However, he is not officially recognized as a billionaire by any publication because most of his money is in the form of unaccounted wealth or black money. This can be considered true because India tops the list for black money in the entire world with almost US$1456 billion in Swiss banks (USD 1.4 trillion approximately) in the form of black money. According to the data provided by the Swiss Banking Association Report (2006), India has more black money than the rest of the world combined. Indian Swiss bank account assets are worth 13 times the country’s national debt. In Swiss bank accounts, the account holder need not even give his or her name. Perhaps that explains why Hasan Ali Khan's name does not figure in any UBS accounts. Also, the account holder's name need not even appear in any of the official documents of the account. According to the authors of this report, Khan should have been arrested and taken in for custodial interrogation in regard to money laundering, arms deals and his possible links to unsavory organizations. However, the Union Government took no action either to freeze the accounts or to prosecute him under the anti-terrorism law.